I just got back from a trip to Los Angeles to make some cooking videos~I’ll let you know when and where they eventually show up. My son recently moved into a new place in Hollywood Hills and we shot the videos in his very small, but cute new kitchen. 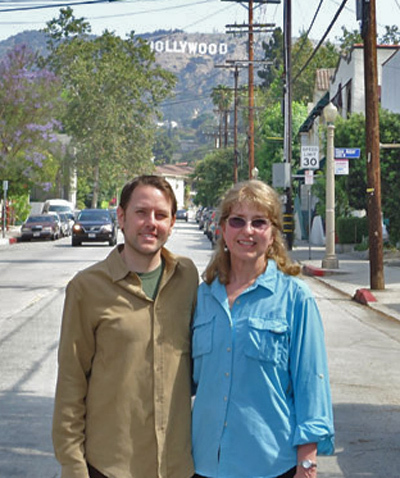 He posed with me for the picture above in the middle of the street beside his house with the “Hollywood” sign in the background. Making cooking videos, Trip to Hollywood. Bookmark. Thanks Jennifer. The California sunshine is very flattering!